The assertion that liars use more filled pauses caught my attention, naturally (this being the Filled Pause Research Center and all). This seems to be fairly common folk wisdom and one can find lots of anecdotal evidence of it. In film and theater, for example, filled pauses are a common thespian device to indicate deception (though quite interestingly, it is aimed at the audience, not the actor's interlocutor who seems insensitive to it). And it's easy to formulate a partisan critique of a political enemy based on their use of filled pauses to accuse them of deception or evasion. But, as advice for how to spot a liar, this kind of advice is at least misleading, and at most bogus. Speech patterns vary widely among individuals (de Leeuw 2007). Some rare people are consistently fluent. The rest of us range from occasionally to very disfluent. It's entirely possible that one person's natural speech pattern is actually more disfluent than another's deceptive speech. In other words, in order to judge anybody's speech on the basis described here, we need a reliable baseline. But how often do we really have that? In any case, as with much popular wisdom, it is prudent to be skeptical of these claims. The evidence about linkage between filled pauses and deception has been studied by several researchers and the results are mixed. Some researchers have observed no relationship between filled pauses and deception (Arciuli et al 2010), others have observed some relationship but a weaker relationship than other factors such as silent pause rate (Benus et al, 2006), while others have found increased use of filled pauses by deceivers (Humphreys 2010). There are some fundamental problems, though, with all of these studies. First, it is very difficult to construct a well-controlled experimental situation in which participants would be, uh, honestly lying. That is, when people lie, they are motivated by a foreseeable gain or an avoidable loss. This can be somewhat constructed in an experimental situation, but not to the extent that could really be deemed authentic. It might be possible to do it if the experimenter tells participants of a reward or punishment they would receive for successful or failed deception, respectively, but this could be highly unethical. Another way to get authentic data might be to analyze archived recordings of police interrogations where the facts of the case have been established after the fact and the witness or suspect is now known to have been deceptive (used in Villar et al 2012). It would also be crucial to have some confirmation from the interrogant that they knew at that time that they were being deceptive (it's not useful evidence if they believed what they said though it was actually untrue). 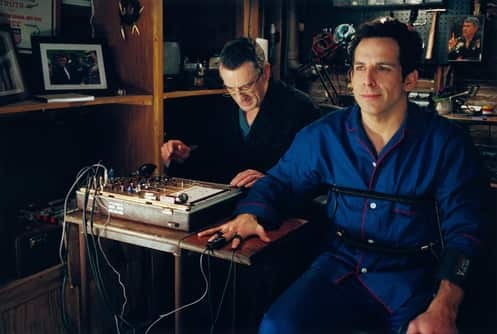 However, even this method has the problem that it's difficult to have suitable control evidence: How would the same speaker sound in an interrogation where there was no need for deception? When they are being fully forthright without any concern for consequences? So, it's difficult to create an authentic situation. But there's another problem that's related to the experimenter's paradox: Observing a phenomenon directly changes its behavior (cf., observer effect). In many of these experiments, participants can reasonably guess (or explicitly know) that the manner of their speech is being evaluated for patterns of deception. Whether or not there are realistic consequences of their deception, they may still change their speech patterns in order to, say, accommodate the experimenter. In short, there clearly is a need for ways to investigate the issue in an ethical but reliable way. Returning to the original Lifehacker article, I don't really expect Lifehacker writers to dig down and verify the empirical basis for superficial claims that they make (although I sympathize highly with the Language Log bloggers who frequentlycomplain about the appalling lack of competence in science writers in journalism). In this case, I did follow the links to find the source of the filled pause claim. It seems to come from a Psychology Today web article entitled, "Detecting Deception Over the Telephone" (Schafer 2012) which includes the following claim. Liars need time to construct believable answers. To gain extra time, liars often use Word Fillers such as "umm," "ah," and "uh huh" before responding. At the bottom of the article there are two references, neither of which supports this claim. If the author has definitive evidence, they should be listed here. To be fair, though, this might not be the author's fault: Perhaps Psychology Today limits the number of references (though two seems awfully restrictive). In the absence of conclusive evidence, I'll venture out on a limb and offer this conclusion. I think we won't find a reliable link between hesitation patterns and deception that can be generalized across individuals because people's speech patterns are so different. I can believe that professional interrogators for example may develop enough experience that they begin to intuitively recognize and categorize different patterns of behavior which give them a baseline for judging deception in interrogatees. But those categories are likely to be highly complex and cannot be summarized in a blog post. To wrap up, let me be anecdotal. My normal speech pattern is highly hesitant. I believe it's probably because I "need time to construct believable answers". That is, when speaking the truth, we are just as likely to be very careful about the accuracy and veracity of what we say. I am in a position as a teacher where what I say is sometimes taken as binding (e.g., grading standards, absences policy) or as a resource for test material. Therefore, I often take time to say the truth: that is, what I know to be correct. This leads me to more hesitant speech with occasional in-line repairs when I recognize that I've spoken in error. Assuming that I'm not terribly unusual, there is as much reason for truth-tellers to be hesitant as there is for deceivers. As such, the search for easy ways to spot a liar should focus on potentially more reliable behaviors.